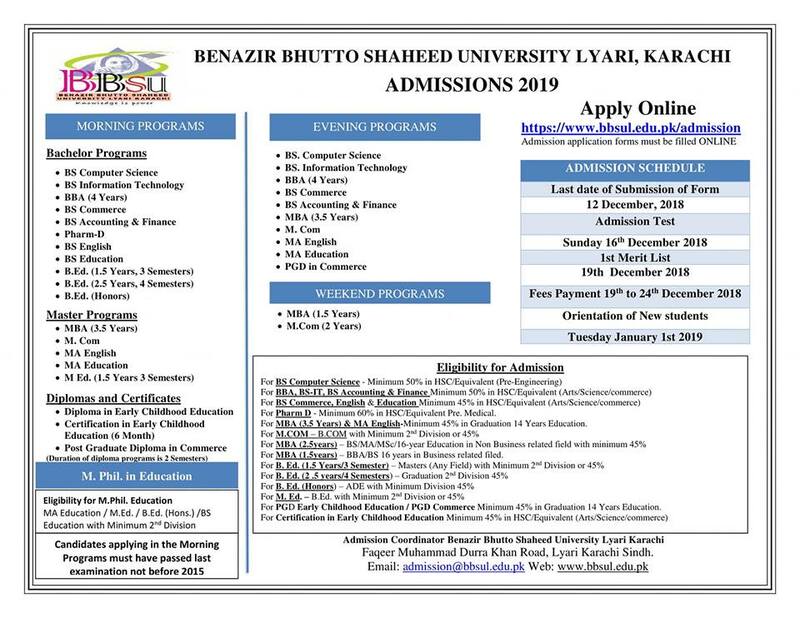 Karachi, Benazir Bhutto Shaheed University Lyari, Karachi has started the admissions in the morning and evening programs online. The candidates will download the admission forms and they will complete it and submit the application forms by the last date of 12-12-2018. The admission entry test will be done on 16-12-2018. The students will note that the BBSU Admission first merit list 2018 will be displayed on 19-12-2018. The candidates will pay the admission fee for BBSU admission schedule 2019 from 19-12-2018 to 24-12-2018. The orientation of the new students will be done on 01 January 2018..